Scroll down for a photograph. 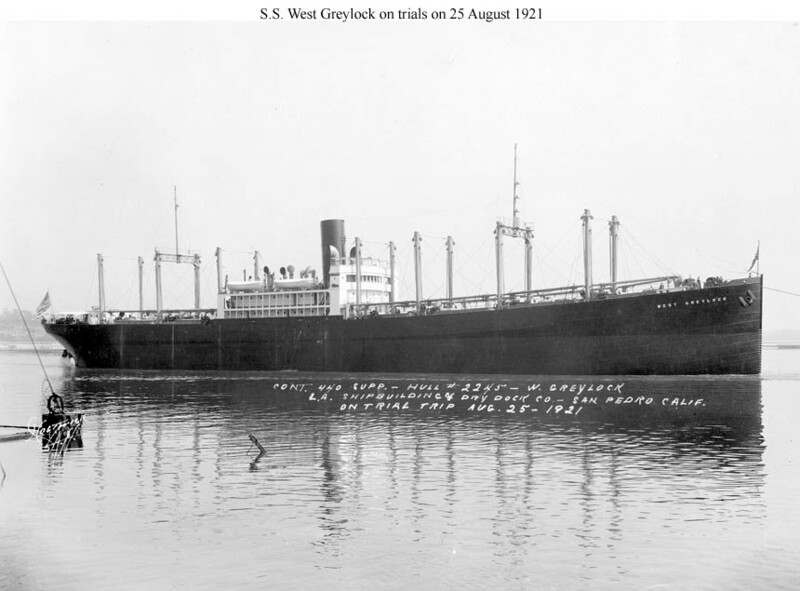 S.S. West Greylock (EFC Design 1133) on trials on 25 August 1921. This ship was built by the Los Angeles S.B. & D.D. Co., where in September 1919 the last ten ships of Design 1013 were cancelled and replaced by five ships of this larger design.